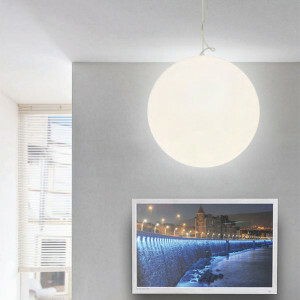 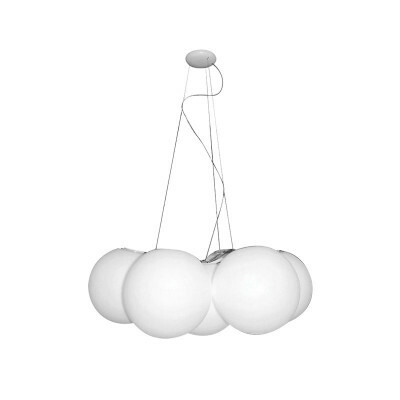 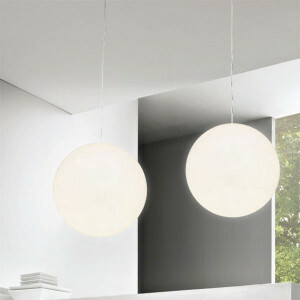 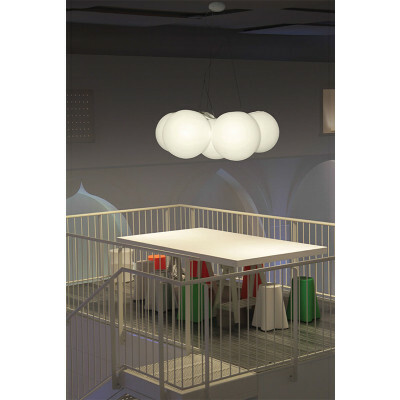 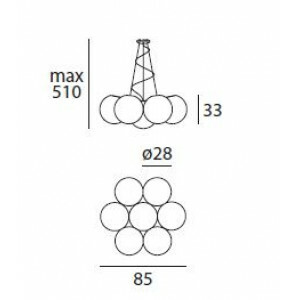 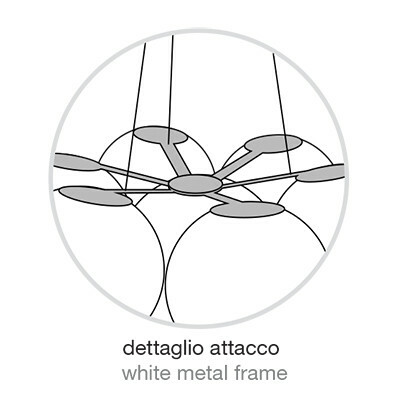 Pendant lamp composed by 7 polyethylene spheres. 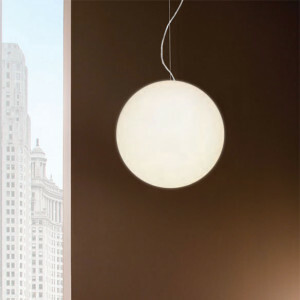 Each sphere has 28cm diameter. 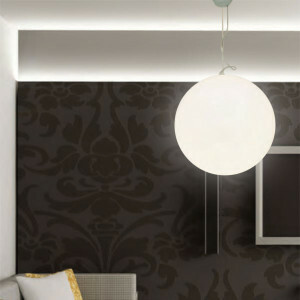 This kind of lighting fixture lights showroms, living spaces or bedrooms.